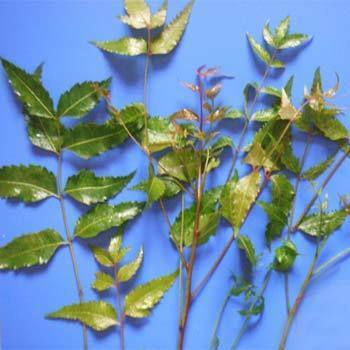 Our range of products include neem extract. We put forth for our clients Neem Extract, which acts as a vermifuge, insecticide, astringent, tonic and antiseptic. Owing to anti-bacterial, anti diabetic and anti-viral properties, it is used for treating stomach, worms and ulcers. Apart from this, it is used to treat malarial fever, chicken pox, acne and blood purification. Due to astringent, tonic and anti-periodic properties of root barks, it is used for many medicinal applications. Furthermore, the oil is used to manufacture neem-based soaps, shampoos and toothpaste.